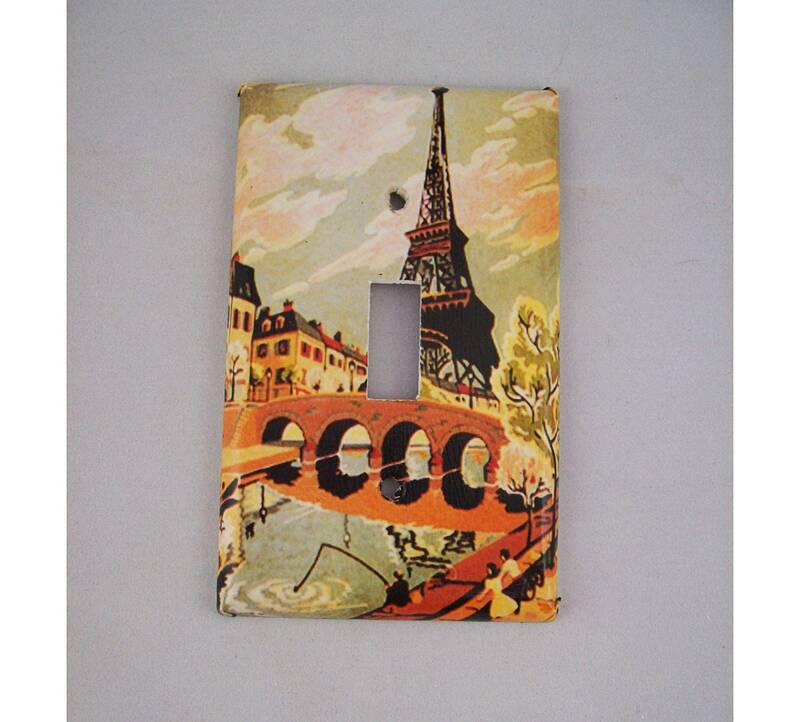 Add instant color and kitsch to your wall decor by installing one of my fab standard sized single light switch plate covers featuring a retro image taken from a 1950s vintage paint by numbers. A great addition to the walls of any rockabilly or retro loving home. I make my switch plates with decoupage medium and polyurethane so the end result is a semi glossy product that is easy to wipe clean. For your switch plate you may choose from any of the images shown in the photos. If you opt for one of the numbered images in the final three photos please choose "other image' and then write me a note during checkout letting me know your selection. You may also choose a standard size single or double switch plate as well. I can make just about any other a sized light switch plate using these images so if you are interested please convo me for details. And I can place these images on most of my other products including toilet seats, tissue boxes and soap dispensers. See El Diablito for details.